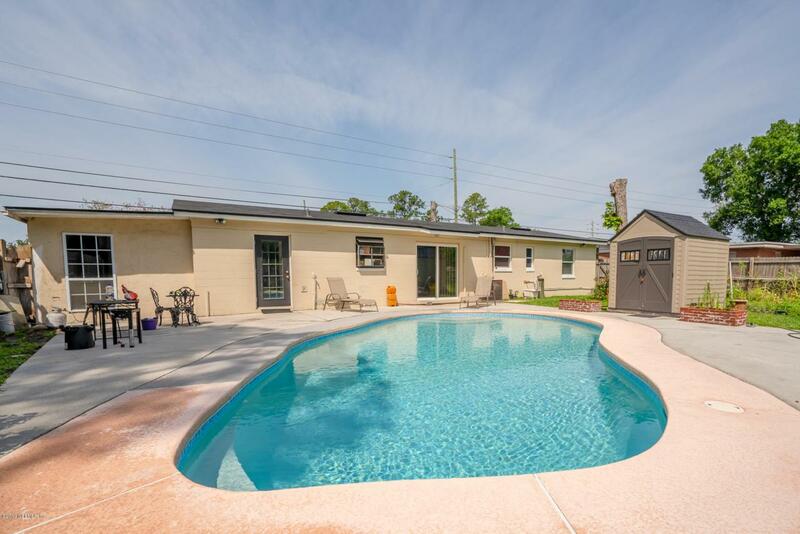 THIS CONCRETE BLOCK HOME FEATURES A SPARKLING IN GROUND POOL, LARGE EAT IN KITCHEN WITH NEW CABINETS, NEW APPLIANCES, SEPARATE DINING ROOM, LARGE LIVING ROOM, 3 BEDROOMS, 2 FULL BATHROOMS, INSIDE UTILITY/LAUNDRY ROOM. 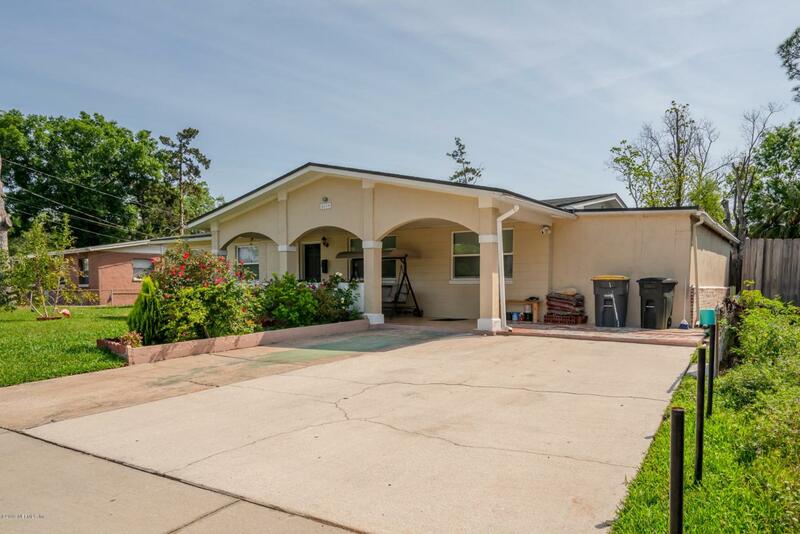 LARGE COVERED TILED FRONT PORCH. NEWER ROOF AND NEW ELECTRIC PANEL,NEW WOOD FLOOR THROUGH OUT THE HOUSE. 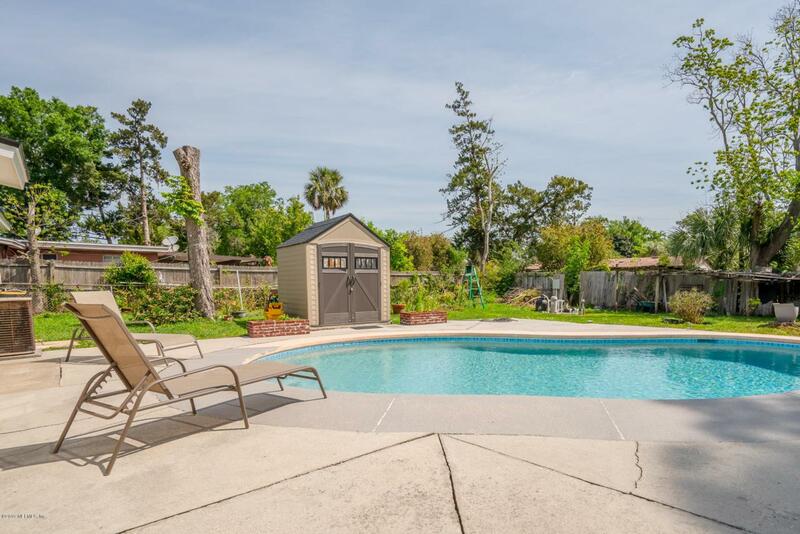 ENJOY THE VEGETABLE GARDEN IN THE BACKYARD COMES WITH A SHED FOR A GARDENING TOOLS AND POOL EQUIPMENT. 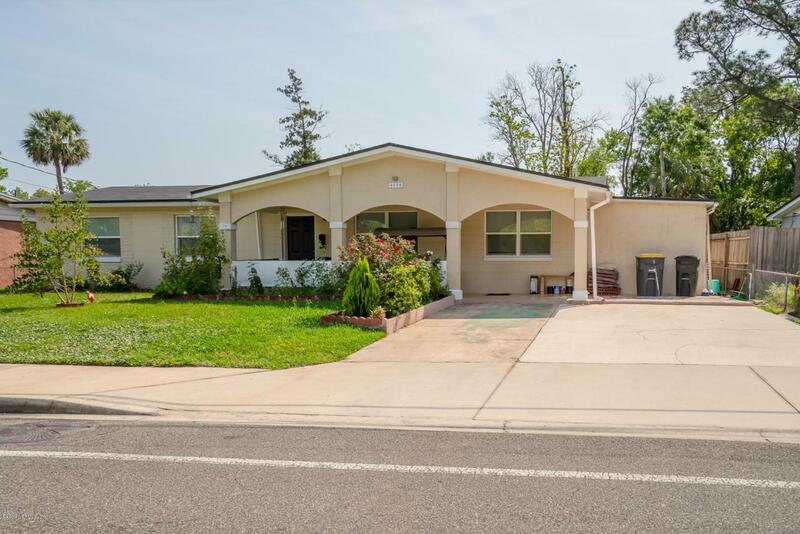 THIS HOME IS READY FOR NEW OWNER.